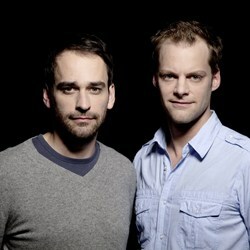 Moritz Böttcher and Sören Henssler founded their studio böttcher+henssler in Berlin in 2007. Both work in the fields of product, interior and communication design for companies such as ANTA, Böwer, Scantex and Vertigo Bird. During studies they received in 2005 the iF product design award and the red dot design award. The European Centre for Architecture Art Design and Urban Studies in Dublin awarded them as "this year’s most promising and emerging design talents in Europe" with the Europe 40 Under 40 in 2010. In 2011 they won the Faces of Design Award and again the prestigious red dot design award. Their projects have been published internationally in magazines like the design report, ELLE Decoration, md interior design, Schöner Wohnen, Stylepark Magazine and many others.